On the first day of our Road Trip (click here) we covered a lot of places along the Grand Pacific Drive. It was Christmas and we totally forgot that all the shops would be closed. Not even McD was open. 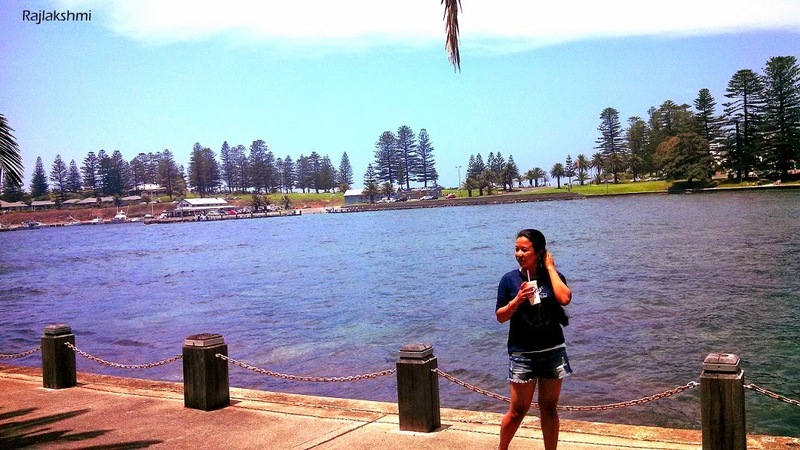 We were famished, it was then we spotted a fish and chips restaurant in Kiama. What a relief!! 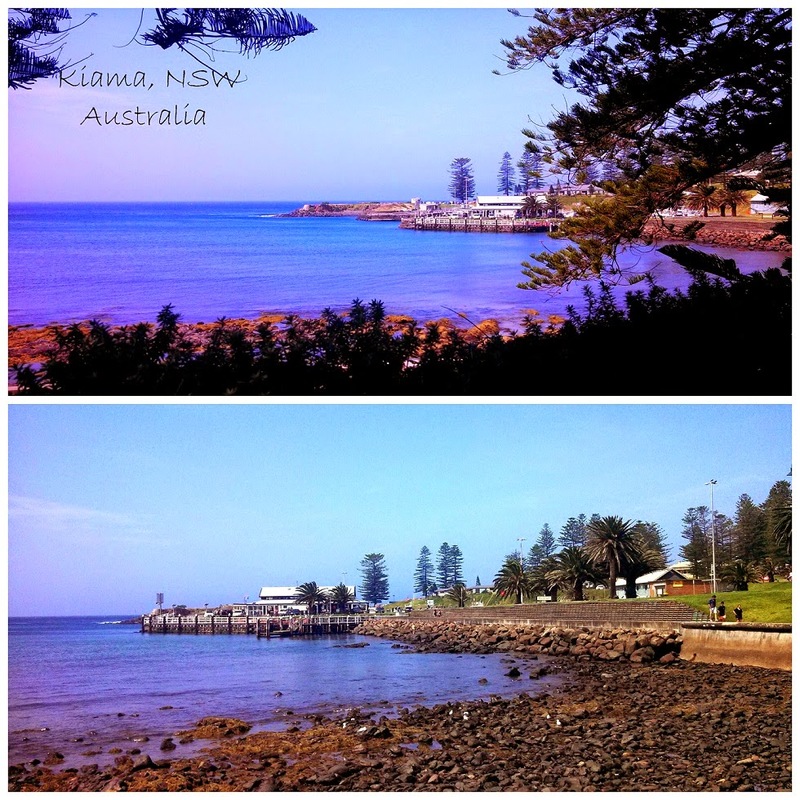 The town of Kiama is situated about 120 Km from Sydney, towards south. 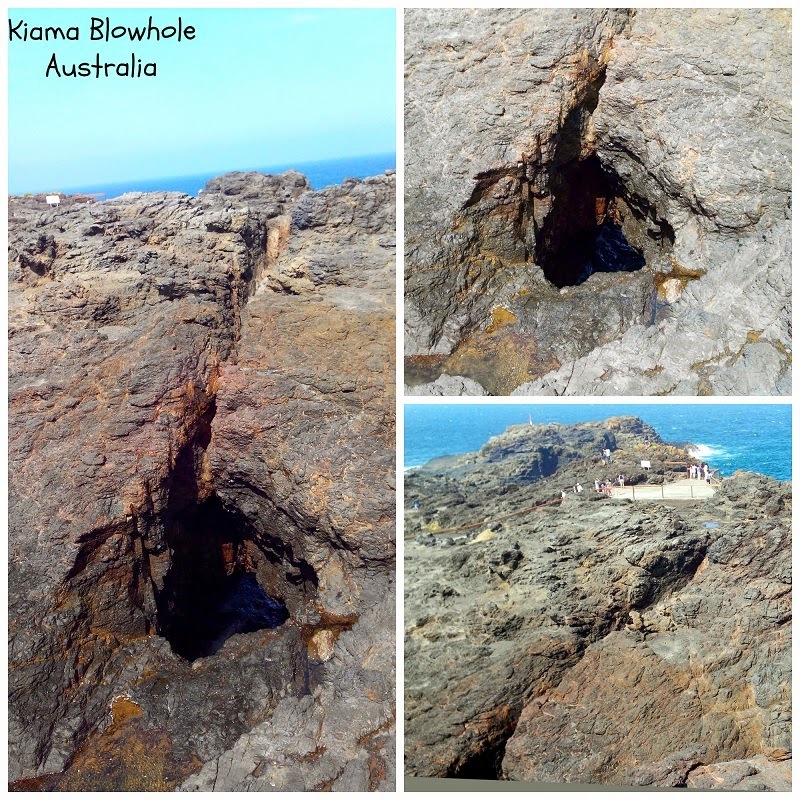 One of the famous tourist attraction in Kiama is the Blowhole, where it is said that the water spray rises upto 25 meters. Although many have been able to watch Blowhole in action on their first visit, but I was not so lucky. I guess it depends on other factors like high tide and wind too. 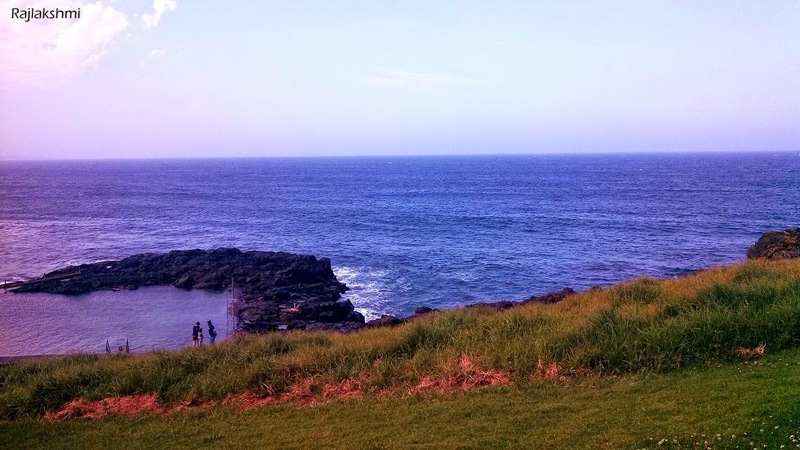 I have been to Kiama twice till now and I am yet to see the water rising high. Planning to make another attempt soon. The contrasting color of black volcanic rocks called Latite against the blue backdrop of the sea, makes a beautiful picture. As you walk towards the blowhole and lighthouse, you could feel the difference in wind speed. It's extremely windy near the viewpoints. Don't forget to carry something warm. I walked along the walkway, protecting my potato chips from the seagulls. I loved the numerous pine trees standing tall, makes a pretty picture. I saw two rock pools while walking towards the lighthouse. You will find people relaxing in the pool, not many were swimming in the ocean. There were few who were running and working out too. 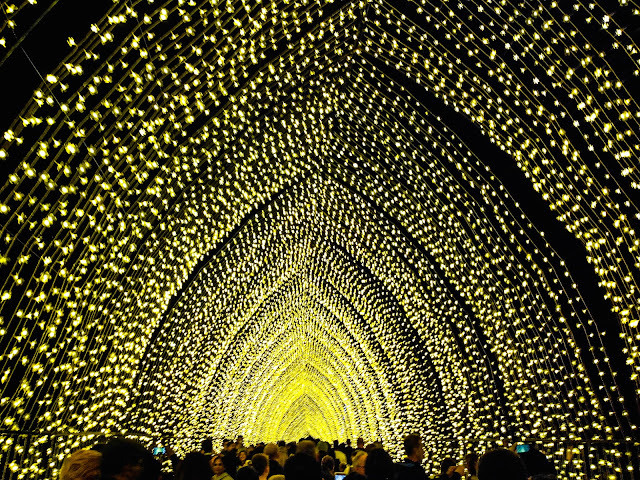 It's a wonderful place to relax and spend some time with the family. This is the view from the other side of the road that leads to Lighthouse. The road is lined with shops, restaurants, bars and ample parking is available. Rajlakshmi, this view is fantastic. Thanks for Sharing. What a wonderful day to be outdoors and explore the area, where I live in Hawaii, you can't avoid black lava rocks and rugged coastlines also. Should be fun to see the water blow from that hole. I've seen one in Mexico. Beautiful coastline and lovely images.. Looks like a gorgeous place to visit! Have a happy week! You seem to be having a fab time! And I am happy to see the beautiful photos.